Up to 400,000 people have fled Myanmar for Bangladesh since August 25, with thousands more arriving every day. We are scaling up our humanitarian assistance activities every day, focusing on maternal and child health, water, sanitation and hygiene and keeping children safe. Please visit http://response.brac.net/ for more information about our response on the refugee-crisis. We are also providing disaster relief and recovery support to families in Bangladesh and Nepal that are affected by the recent floods. Across Bangladesh, India, and Nepal, thousands have died. Tens of millions are affected. Food supplies have been washed away, fields permanently flooded, crops wiped out. Thousands of families lost their homes, their livestock, and their livelihoods. Survivors face food shortages and outbreaks of cholera and water-borne diseases. Amid this chaos, there is hope. 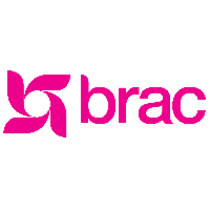 BRAC is providing immediate relief to more than 100,000 survivors. We have distributed food and water, as well as feed for livestock, and we’re making sure families have somewhere safe and dry to sleep. And when the water recedes, we will help families recover and rebuild. In a country beset by seasonal floods, BRAC is especially well prepared to adapt to emergency flooding.Please visit bit.ly/SouthAsiaFloods to follow our response. Please support us in providing life-saving aid. Donate now!